As always, today is a great day to be an Oskaloosa Indian! During the 2017-2018 school year, the Oskaloosa Indian Booster Club (OIBC) organization gave back over $40,000 to activities in the Oskaloosa School District. This past school year, some of the groups that benefited from OIBC funds included Robotics, Softball, Student Council, Soccer, Dance, Cheer, Basketball, Golf, Football, Swimming, Baseball, After Prom Event and Middle School activities. In addition to providing funding for our student activities, the OIBC also sponsors several community events. Some of the events OIBC has participated in or sponsored include the Annual OIBC Golf Outing, home football game Tailgate Club, OHS Homecoming Parade, Coupon Blitz Night, Membership Appreciation BBQ, SnoBiz night at home baseball and softball games, merchandise sales at home sporting events, free gift wrap during the Christmas holiday season, and the “Softball Welcome Back Night” Reunion Event. We also embarked on a partnership with the William Penn University Strength and Conditioning Program for a third year. OIBC is the sole funding stream for this program offered to our student body. The WPU trainers began working with our high school students at the end of May. This program is already showing great promise and has good student participation in these early stages! We look forward to working with William Penn as they strive to improve the strength, speed, agility and overall health of our student participants. With your help, we hope to continue making significant contributions to our students and athletes during the 2018-2019 school year. Renew your membership today and continue supporting our schools, our student participants, and our community. Membership is open to all community members, including families, individuals, and businesses. Paid membership at all membership levels includes voting privileges and a listing in each home event program. In addition to those membership benefits, members will also receive tokens of recognition at each of the various membership levels. 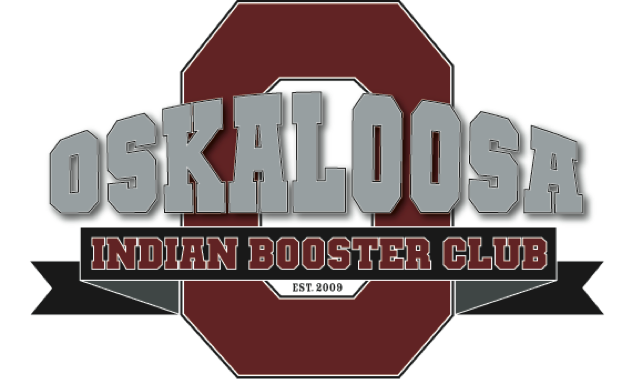 Thank you in advance for considering membership into the Oskaloosa Indian Booster Club, Inc. The Oskaloosa Indian Booster Club is a non-profit organization with a 501(c)3 status. A membership form is included in this mailing. We look forward to partnering with you again this year as we support MANY ACTIVITIES as ONE TEAM! Go Indians!